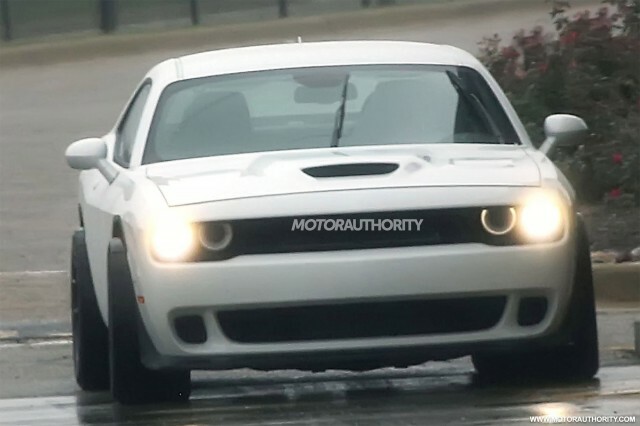 Turns out, Dodge’s wide-body Challenger Hellcat is real. We know this because we spied a prototype this week. Thought to be called the ADR, which stands for American Drag Racer, the wide-body ‘Cat should wear massive rubber which hopefully will aid in its somewhat obvious traction issues. Hennessey just gave America its own 6×6 with a ridiculous version of the new F-150 Raptor. It has six wheels and if you opt to have over 600 horsepower when you order, it’ll cost about $317,000. Of course, you can opt for standard 450-hp version for a more reasonable $295,000. We know the Jeep Wagoneer is coming back, and supposedly so is the Grand Wagoneer. Said to be aimed at taking on the Range Rover, word has it that the Grand Wagoneer could hit $140,000 when it comes time to write a check. The legendary Brock Yates passed away at the age of 82 after battling Alzheimers. Automotive writer, Cannonball Run creator, and TV commentator, the automotive community lost one of the good ones. We slid behind the wheel of the 2017 Infiniti Q60 Red Sport. Set to take on the BMW 4-Series, the Q60 is the coupe version of the Q50 sport sedan. We won’t spoil it for you as you should read our first drive report, but we will tell you that it’s a gorgeous set of wheels.